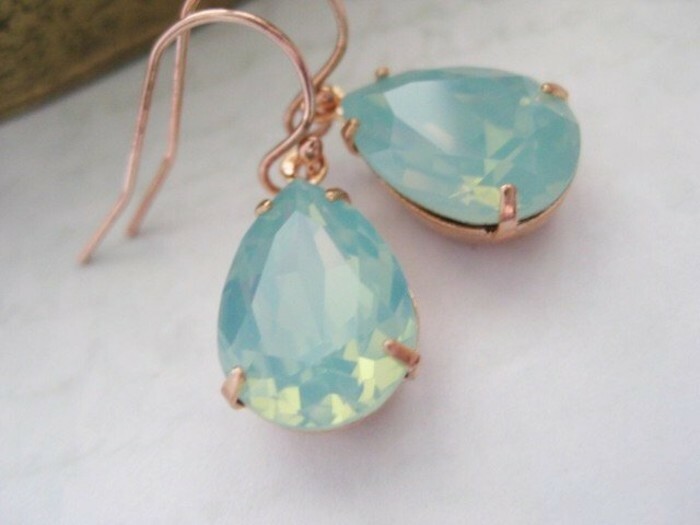 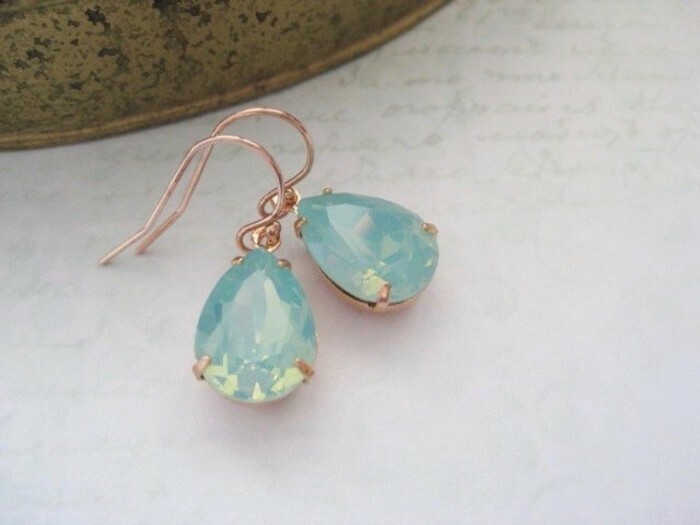 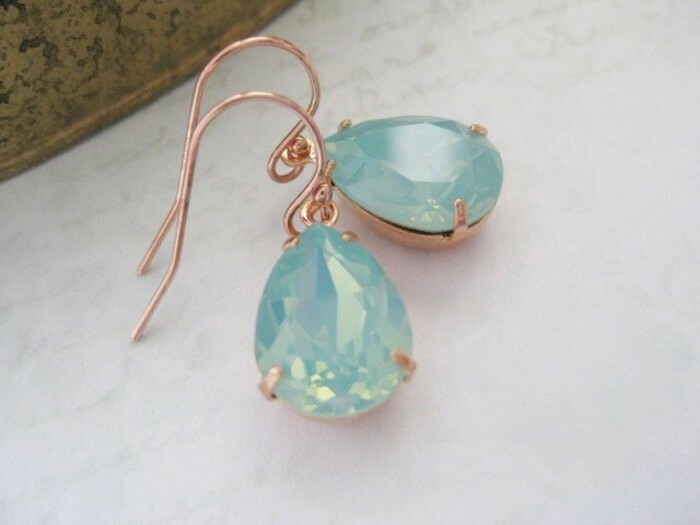 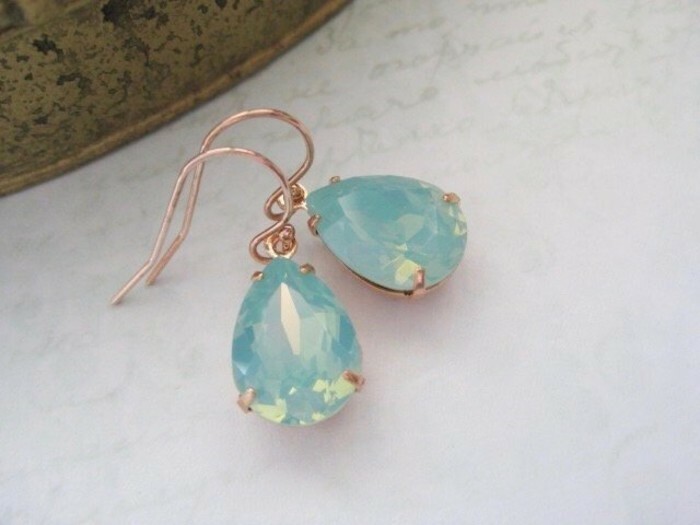 These crystal earrings in Pacific Opal are a beautiful translucent Shade of mint green with colours that catch the light. 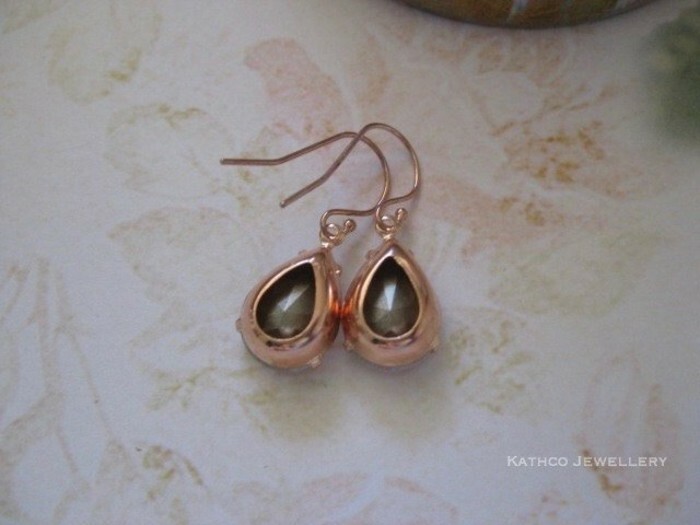 To give them a modern styled look I chose to present this pair in Rose Gold Plated Brass settings and to finish supended them from 14k filled rose gold french hooks for pierced ears. 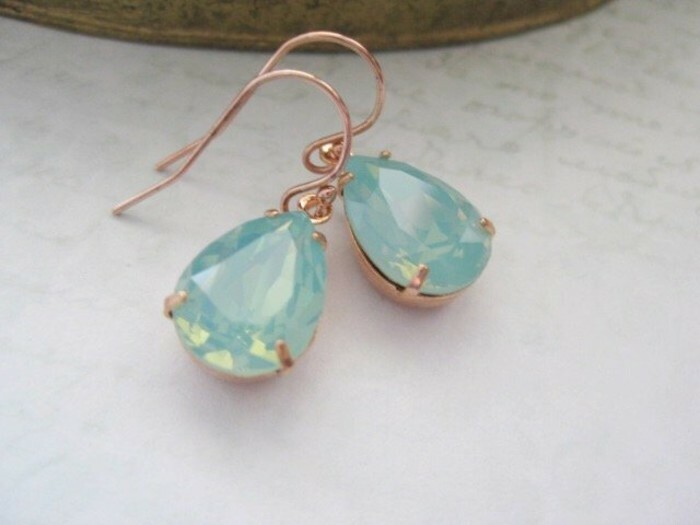 These sparklers can be made in many different Swarovski crystal colours and are also available with shorter hooks for pierced ears.